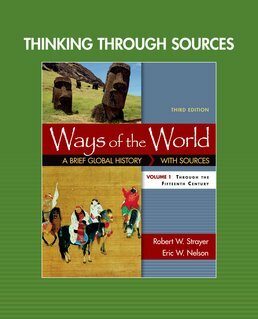 A two-volume collection of sources that connects with content in the textbook Ways of the World, Thinking through Sources for Ways of the World, Volume 1 contains 6-8 sources per chapter. These primary sources help you gain additional insight into material in order to have thoughtful discussion during class as well as successfully complete assignments. Additionally, headnotes and questions to consider before each document assist you in approaching the documents and essay questions at the end of each chapter. Volume 1 includes Chapters 1-12. History Before Writing: How Do We Know? Source 2.1: Law and Life in Ancient Mesopotamia: The Law Code of Hammurabi, ca. 1750 B.C.E. Source 2.3: The Occupations of Old Egypt: Be a Scribe, ca. 2066–1650 B.C.E. Source 2.5: Social Life in Ancient China: The Book of Songs, ca. 1046–771 B.C.E. Source 3.2: In Praise of Athenian Democracy: Pericles: Funeral Oration, 431–430 B.C.E. Source 3.6: Governing an Indian Empire: The Writings of Master Han Fei, Third Century B.C.E. Source 4.1: Reflections from Confucius: Confucius: The Analects, ca. 479–221 B.C.E. Source 4.3: A Daoist Perspective on the Good Life: Loozi: Daodejing, 500 B.C.E. Source 4.4: Reflections from the Hindu Scriptures: Bhagavad Gita, ca. Fifth to Second Century B.C.E. Source 4.5: Reflections from Jesus: The Gospel of Matthew, ca. 70–100 C.E. Source 5.1: A Greek Expression of Patriarchy: Aristotle: "On a Good Wife," ca. 330 B.C.E. Source 5.2: An Indian Expression of Patriarchy: The Laws of Manu, 200–400 C.E. Source 5.3: A Chinese Woman’s Instructions to Her Daughters: Ban Zhoo: Lessons for Women, Late First Century C.E. Source 5.4: An Alternative to Patriarchy in India: Psalms of the Sisters, First Century B.C.E. Source 5.5: Roman Women in Protest: Livy: History of Rome, Early First Century C.E. Source 7.6: Letters from the Silk Road: From a Soldier on Guard Duty, 103 B.C.E–40 C.E. ; From an Abandoned Wife, Early Fourth Century C.E. Source 8.6: Samurai and the "Arts of Peace"
Source 9.1: The Voice of Allah: The Quran, Seventh Century C.E. Source 16.6: The Rights of Women: "Frenchwomen Freed"
Source 23.5: Predicting 2100: "The Last Hours"
Robert W. Strayer (Ph.D., University of Wisconsin) brings wide experience in world history to the writing of Ways of the World. His teaching career began in Ethiopia where he taught high school world history for two years as part of the Peace Corps. At the university level, he taught African, Soviet, and world history for many years at the State University of New York-College at Brockport, where he received Chancellor's Awards for Excellence in Teaching and for Excellence in Scholarship. In 1998 he was visiting professor of world and Soviet history at the University of Canterbury in Christchurch, New Zealand. Since moving to California in 2002, he has taught world history at the University of California, Santa Cruz; California State University, Monterey Bay; and Cabrillo College. 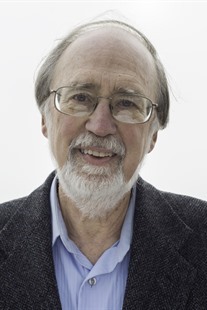 He is a long-time member of the World History Association and served on its Executive Committee. He has also participated in various AP® World History gatherings, including two years as a reader. His publications include Kenya: Focus on Nationalism, The Making of Mission Communities in East Africa, The Making of the Modern World, Why Did the Soviet Union Collapse?, and The Communist Experiment. Eric W. Nelson (D.Phil., Oxford University) is a professor of history at Missouri State University. He is an experienced teacher who has won a number of awards, including the Governor’s Award for Teaching Excellence in 2011 and the CASE and Carnegie Foundation for the Advancement of Teaching Professor of the Year Award for Missouri in 2012. He is currently Faculty Fellow for Engaged Learning, developing new ways to integrate in-class and online teaching environments. 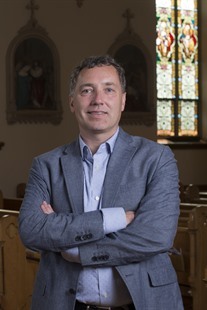 His publications include The Legacy of Iconoclasm: Religious War and the Relic Landscape of Tours, Blois and Vendôme, and The Jesuits and the Monarchy: Catholic Reform and Political Authority in France.